With so much skills disruption of late, it’s worth noting that it’s not just the number of sought-after IT specialisms that are changing, writes Harvey Nash Recruitment Solutions. It’s their make-up too, meaning some will get your hired -- quick smart, while others will leave your chances cold. One of the most obvious skills in decline is VB.Net. It really seems to have died and been replaced by things like Node.JS and Angular. This is quite simply because they are more capable frameworks. However, the skill even more obviously in decline is software testing. The maturation of test automation tools and the growing popularity of agile development models are changing the nature of testing. And with that, the number of testers needed and the role they play in quality verification. Meanwhile, at the complete opposite end of the spectrum, the most ‘on trend’ skillset that we’re placing right now is Java 8, Spring/hibernate and AWS. But with these few, and not just confined to those actually, contractors are making themselves even quicker hires by making the right noises at interview around the topic of team-or-cultural ‘fit.’ The age of the ‘headphones in, bash out code’ contractor seems to be well and truly dead. Clients are looking for commercially aware, communicative developers who are comfortable in customer/stakeholder-facing roles. We're getting a lot of requests for true all-rounders who can contribute not only to Development but also Architecture, Testing and DevOps. They really want their money’s worth. The reasons behind the need for stronger ‘soft’ skills can really vary from company to company. However it ultimately comes down to value for money. Clients have spent years having to justify to permanent staff why a contractor is doing the same job as them for sometimes triple the money. Whatever your opinion on that, it means it’s becoming more and more difficult to ‘only’ offer tech skills. Another reason is that there has been a shift towards developing permanent staff by offering further training opportunities, so a lot of businesses have an existing high skill level already. Certainly higher than yesteryear anyway. So the era of contractors expecting all permies to be unsophisticated at what they do as contractors is also moribund. 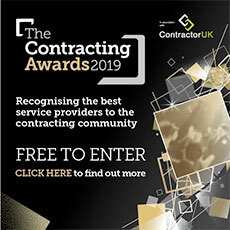 As a result, the bar for contractor entry has been raised, so again the temporary consultant coming in to a new workplace needs to add more value than an existing permanent member of staff. Interestingly, and to reassure any Cobol programmers reading, all is not lost for those with supposedly 'dead' IT skills. While many candidates will ditch the older tech in favour of something more current, and move with the market (there are plenty of courses online if you’re feeling the upgrade urge), some will actually specialise in them. Can you too carve out a niche in more dated languages for companies dealing with legacy software? So it’s certainly not unheard of for those with ‘dead’ skills to actually find themselves in the fortunate position of being able to charge a premium. There are clients out there who do decide to stick with ‘dead’ technology and the result is they end up struggling to find people with the relevant skill-set come standard recruitment time. In a perfect world, they’ll land a contractor who wants to remain focussed on these technologies, and so candidates with archaic IT skills can be much more valuable than you might expect. The only caveat to this, if you’re interested, is that you may have to be more willing to either travel longer the usual distances – or, (and potentially ‘and’), wait a bit longer between contracts. So they you go, you old computer hands, rumours of your death have been greatly exaggerated! Editor’s Note: The authors at Harvey Nash Recruitment Solutions were David Savage, associate director, Alex Robbins, team manager for software development resource solutions, and Colin Morley, professional services director.